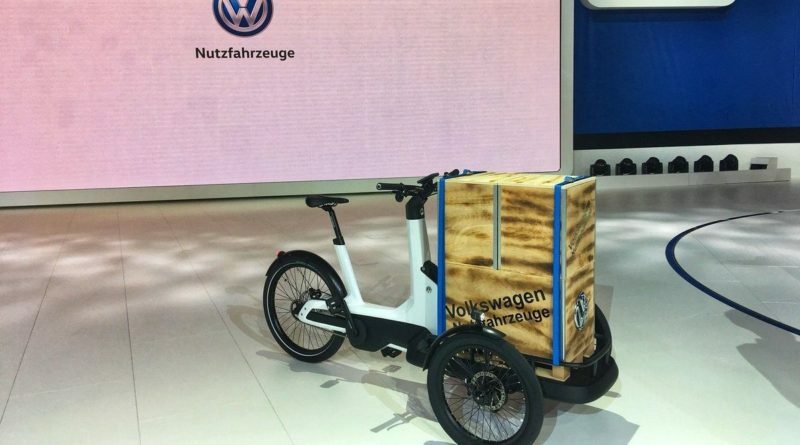 Automotive Giant Volkswagen is entering the e-bike market with the brand’s first electric bike. The Cargo e-Bike is a “last mile deliverer” which the brand claims is the most advanced of its kind in the world. Due to be introduced in 2019, it will be produced at the Volkswagen Commercial Vehicles plant in Hannover. It’s a standard pedelec with a 250 Watt (48V) mid-mounted motor which tops out at the regular 25 km/h and is designed for a maximum payload of 210 kg (including the rider). 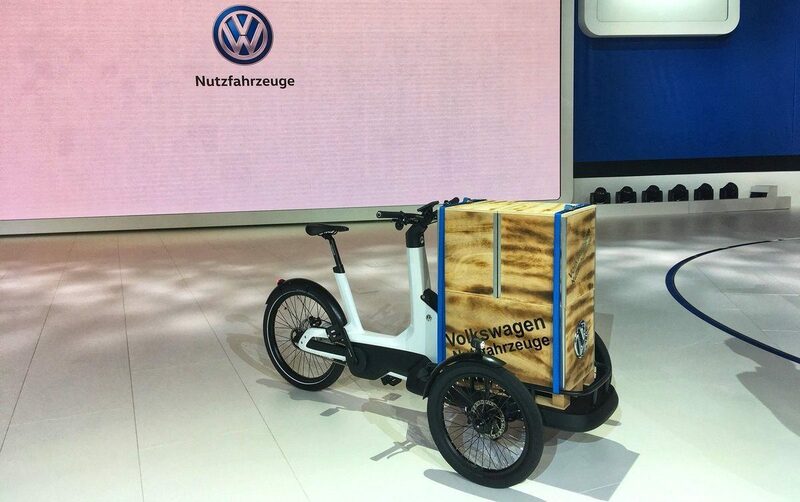 The vehicle, which forms part of the VW commercial range, is equipped with two wheels at the front and a load platform positioned between them. On this load platform is a cargo box with a storage volume of 0.5 m3. Innovative kinematics on the front axle ensure that the goods on the load platform don’t tilt when cornering. This tilt-levelling technology is a new innovation according to VW. VW is not the only manufacturer to be dabbling in the e-bike market. BMW have had a range of e-bikes for some time now which are sold alongside their cars in regular motor dealerships. Having met a couple of owners of these bikes, they seem very happy with them, but had gone back to their local IBD for spares and servicing. 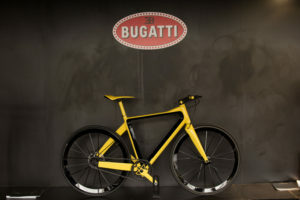 Bugatti, Lamborghini, Ducati and Kawasaki also have e-bikes which vary from what appear to be relatively sensibly priced “re-brands” to bespoke and outlandish designs such as this €65,000 model which claims to be the lightest e-bike in the world. 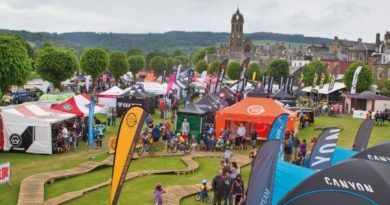 Of course, this isn’t a new trend, back in the 80s and 90s we also saw Porsche, Ferrari and host of others producing regular bikes or partnering with bicycle makers. 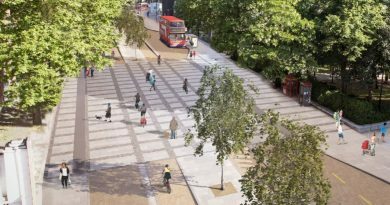 What all those bikes have in common is that they were aimed at individual consumers. What seems to be different this time around is the long term strategic intent of these vehicles. Sometimes part of a bigger range (such as VWs electric vans), they are often aimed at commercial users and form part of the “last mile of delivery” solution. Urban populations are predicted to rise from 55% today, to 68% by 2050. While some reports predict car ownership could decline by 80% by 2030. Meanwhile other motor manufacturers are getting a toe-hold in Bikeshare schemes, like this one by Ford. So, it’s easy to see why these industrial giants would like to diversify their portfolio beyond their traditional 4-wheel ICE vehicles. The 4th Industrial Revolution is characterised by shared ownership, clean-renewable energy, joined up transport and the Internet of Things. If you’d like to know more about those themes, have a look at “The Zero Marginal Cost Society” by Jeremy Rifkin. Or as BMW once paraphrased Abraham Lincoln in one their adverts “The best way to predict the future is to create it”.